Lynas’ share price dropped as much as 33 percent on Wednesday after the Malaysian government set new license renewal conditions. Shares of rare earth producer Lynas (ASX:LYC) dropped by as much as 33 percent on Wednesday (December 5), after the Malaysian government set new license renewal conditions ahead of the New Year. These latest regulations imposed on the Lynas Advanced Materials Plant (LAMP) by the Malaysian officials follow a recent review of the company’s operations by a government review panel. The newly completed review found Lynas’ operations were both compliant with applicable laws, and low risk. 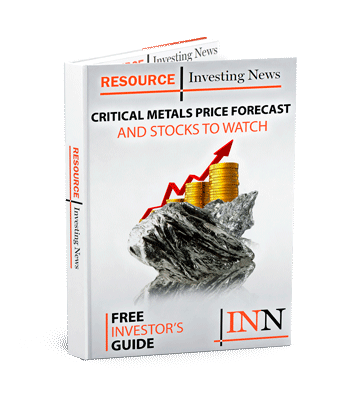 The report featuring the review findings was posted late Tuesday (December 4) night, and outlined a number of positive strides the critical metals company has made, including the company’s ability to conform to international standards and practices, as well as its continued commitment to research and development. In a company announcement, Lynas CEO Amanda Lacaze thanked the local community for its continued support of the rare earth company. “We thank the review committee for its diligent and thorough approach. I would like to thank all our employees who have demonstrated their resilience and their commitment to Lynas Malaysia, to our communities, and to our high standards of safety and performance,” said Lacaze. Despite the positive findings the government review panel did make several recommendations regarding storage, waste and safety. The recommendations offered by the panel include, building of a safe storage facility for neutralization underflow (NUF) residue and the preparation of an environmental impact assessment for the residue, the erection of a permanent disposal facility for water leach purification (WLP) residue. The site for the new disposal facility will need to be identified before Lynas’ next license renewal. Additionally, the Malaysian Minister for Energy, Science, Technology, Environment and Climate Change also imposed two brand new pre-conditions on Lynas ahead of its license renewal, which is slated for September 2019. The first of which being, Lynas must develop a protocol for the export of WLP residue before September 2, 2019. The second stipulation refers to the creation of an actionable plan to deal with the disposal of NUF. In a statement, Lacaze noted she was disappointed by the new conditions. In October, the minister’s office had announced it would wait on any new regulations until the review panel’s report was released. “This appears to be policy based on politics, not policy based on science, it is very disappointing to receive this on the same day that the Review Committee report was released,” said Lacaze. Shares of Lynas were down 26.89 percent on Wednesday (December 5), trading at AU$1.645.